Mamma Dalton whips both the pancake batter and her rascally sons into shape. Here you can find the best pang-cakes in the Wild West. Choose from American or the usual style with jam and whipped cream. There are, of course, gluten and lactose-free pang-cakes available. 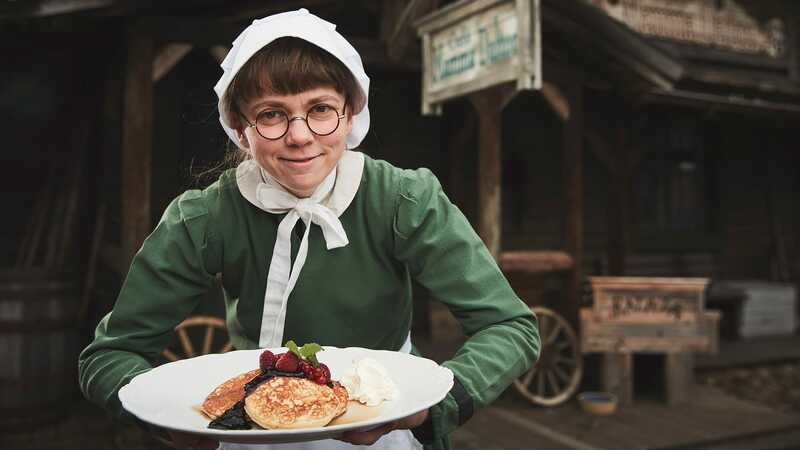 Mamma Dalton’s Pang-cake House is the perfect hangout for resting up before the long trip into the Wild West where you’ll see bandits, cowboys and horses at every turn. From the terrace are nice views of the settlers’ houses, pony rides and Buffalo City. You can even line dance with Mamma Dalton each and every afternoon.